The question is: can a single solution address these problems? Yes! 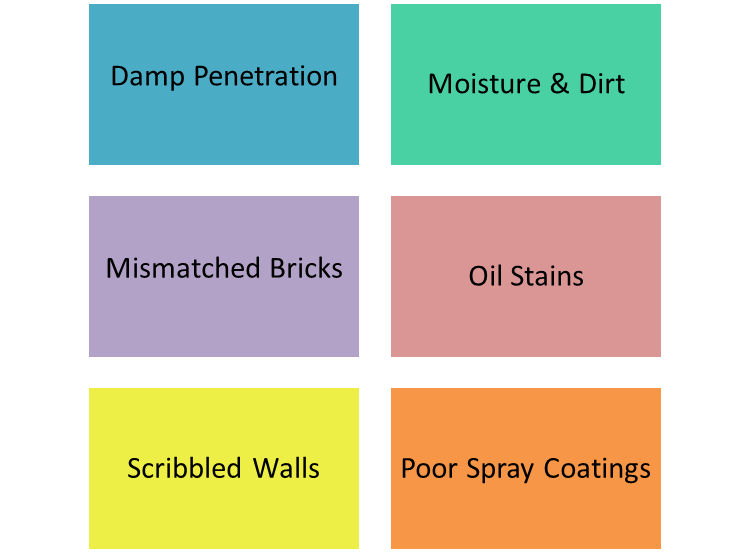 Render coatings can, especially because they are available in different variants, and you can easily choose one that meets your needs. A render is actually a mixture of sand, cement and lime, all of which are mixed in a particular ratio for the best possible results. A cement render is usually applied on exterior walls to make them withstand the adverse weather conditions. Traditional rendering makes the surface free of patches and dirt. A cement lime render is relatively light and more flexible, and is basically used for concrete block work and modern renovations. An acrylic render is suitable for both indoor and outdoor walls, and helps clean off dust, oil, grease etc. It is water resistant, and adds robustness to your walls. Rendering is undertaken using metal trowel, wooden trowel, brushes, sponge, masking tape, wheel barrow and several measurement tools. Render coatings will not disappoint you like the traditional ones, and will make your walls strong enough to resist heavy rains, extreme sunlight and condensation, consequently giving a superior finish. Get more render coating assistance by contacting Astec Paints.